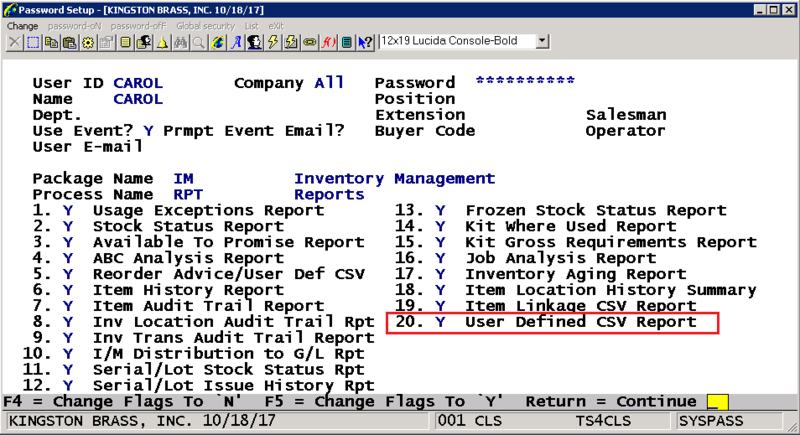 The User-Defined CSV Export option has been added to I/M-> Reports. Users can now grant/deny access to this application from Password Setup. 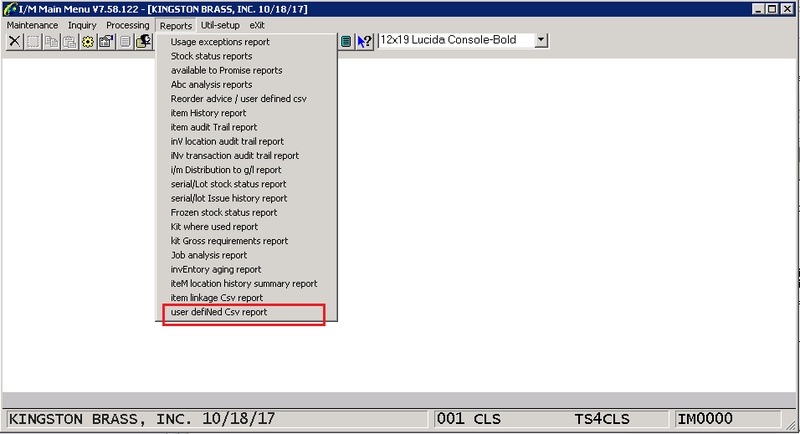 When running the application from this location in the menu system, the User-ID specified in the report specification is enforced. 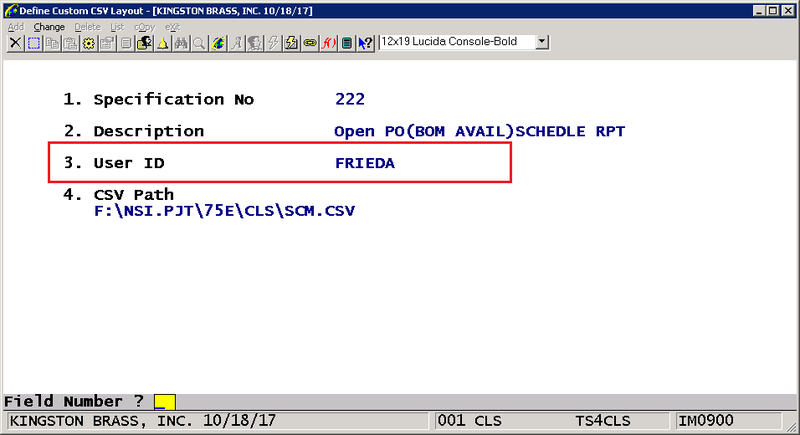 To enable this feature, a User ID field has been added to I/M-> Reports-> Reorder Advise Reports-> Maintain. 3. User ID - Defaults to spaces. Spaces means All Users. F7 search is available. Enter a User ID if this report can only be run by a certain user or a user in a supervisory role.